Do you need an insulation company serving Temple, Texas or a surrounding area in Bell County? Hinkle Insulation & Drywall is a good name to know. We work with homeowners and builders for residential and commercial new construction and retrofit insulation projects throughout the area. Temple has many historic areas and older homes, which tend to be under-insulated. But we’ll make sure yours isn’t! Contact us today to talk about your project—or keep reading to learn more about our services. Do you need to install more insulation your home? Are you a builder looking for an insulation company to help with a residential new construction project? Hinkle Insulation & Drywall can help. The Hinkle team has worked with many local builders, contractors and remodelers on new home construction and addition projects throughout the Temple, Texas area. The insulation we install helps ensure new homes being built are as energy-efficient as possible for future homeowners. The Hinkle team has worked with many local builders, contractors and remodelers on new building construction and addition projects throughout the Temple, Texas area. We have experience insulating all types of commercial buildings, from warehouses to schools to hotels. 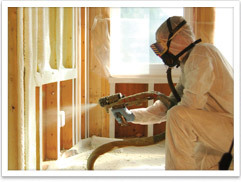 In addition to insulation, we also offer drywall services you can rely on. As part of the Installed Building Products family of companies, Hinkle Insulation & Drywall offers the expertise, experience and resources that few local companies can match. Developers, contractors and homeowners throughout the Temple, Texas area depend on us to make their homes more comfortable and energy-efficient.